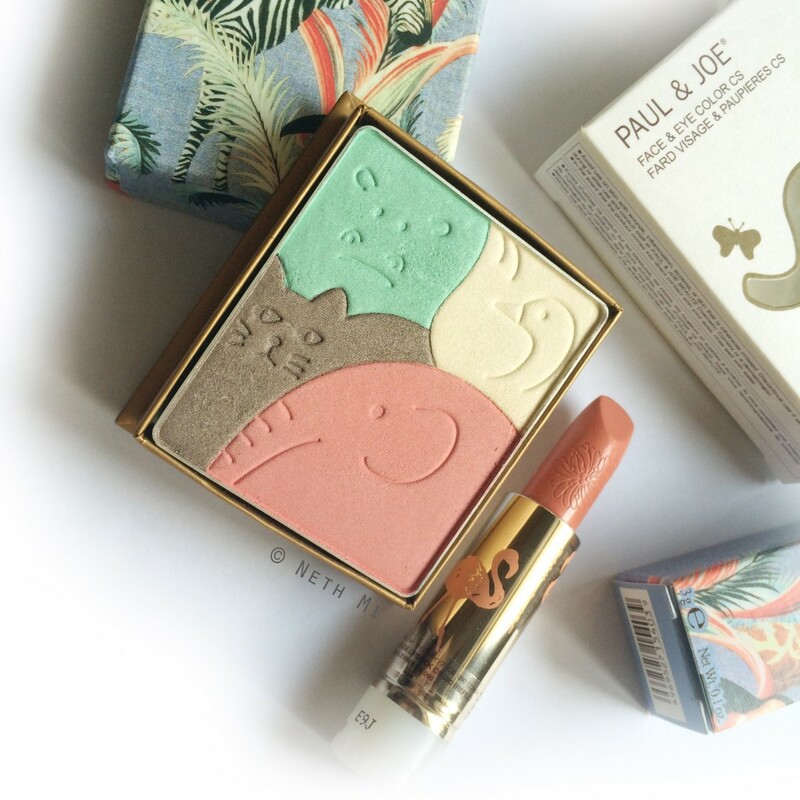 Today’s post is another review on two “Spring 2015” limited edition makeup products I picked from Paul & Joe. 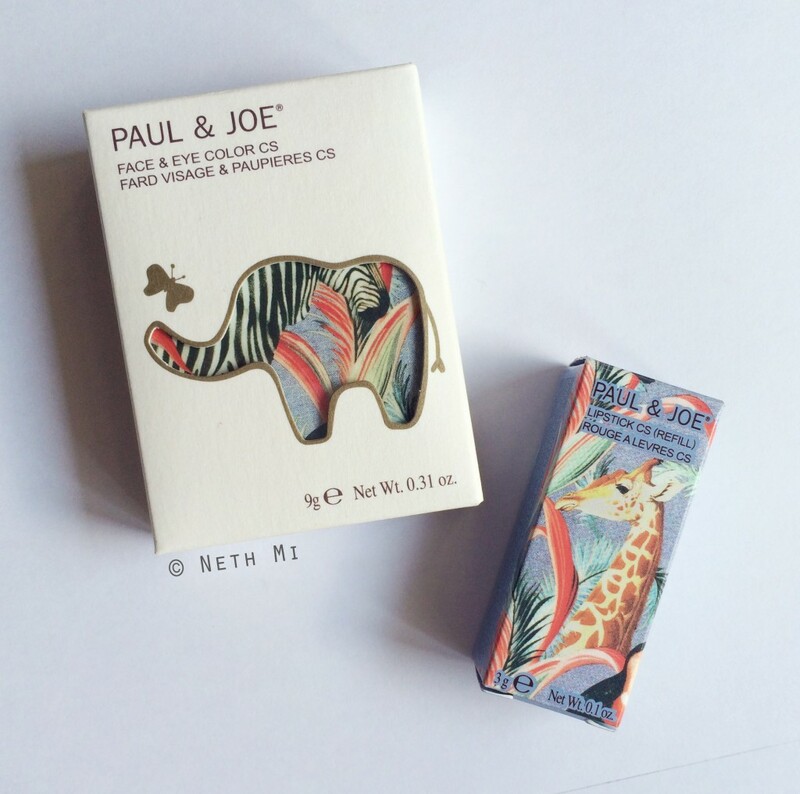 I spotted these palettes on beautybay.com last month and ordered them on the spot because I totally fell in love with the cute animal print on the packaging as well as the engraving on the product itself! As usual, I got my order delivered in exactly 16 days. I’m still happy about their delivery pace! The Eye-&-Cheek palette is made out of box board and comes with an elastic band to keep the lid closed securely. 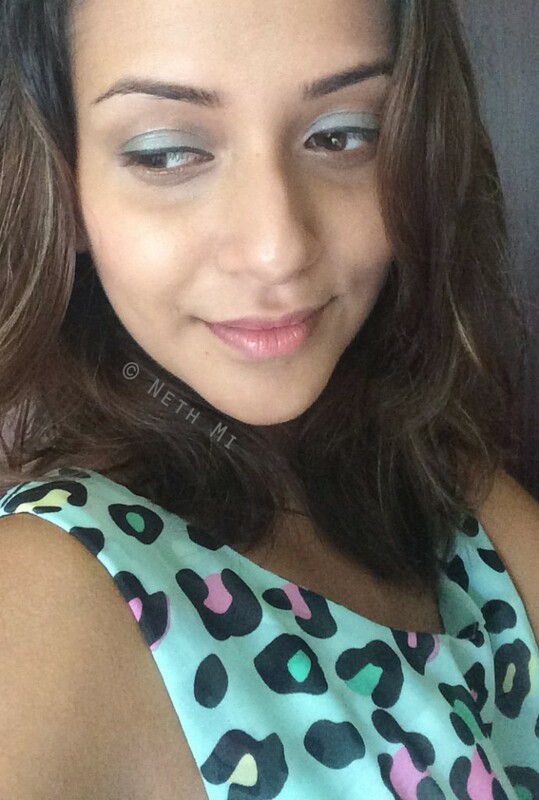 The box board packaging of the Eye-&-Cheek palette does not feel cheap at all & its size is ideal for travelling. 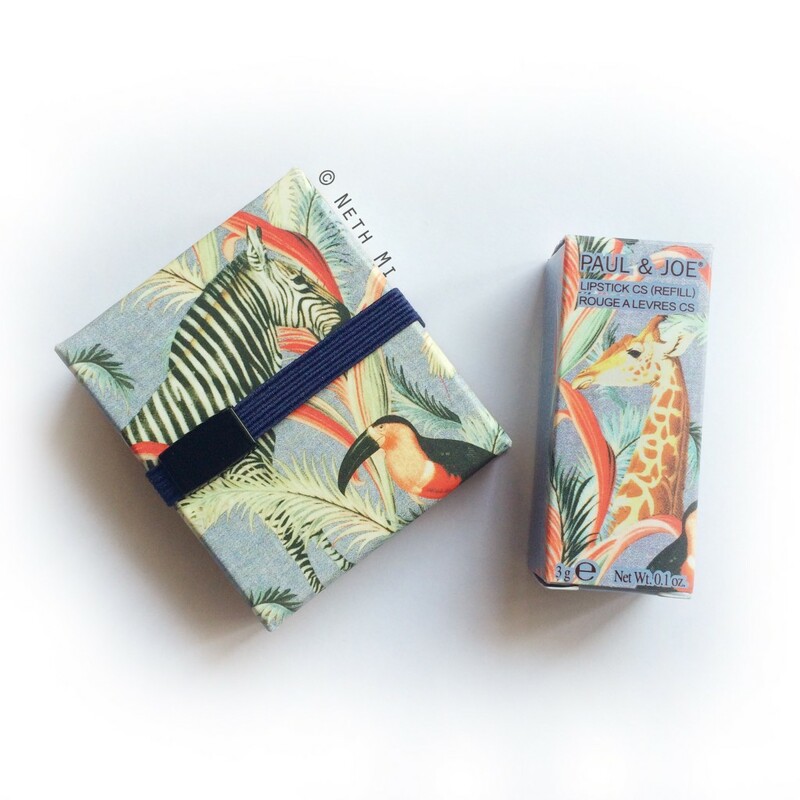 It can easily go into the smallest of cosmetic pouches you own! 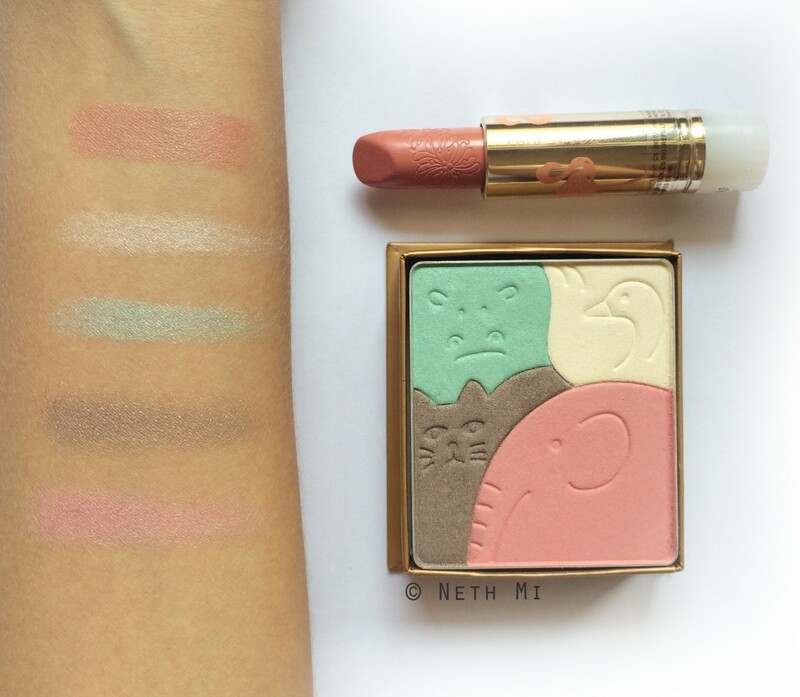 Seriously, how can you not fall in love with this cute palette? 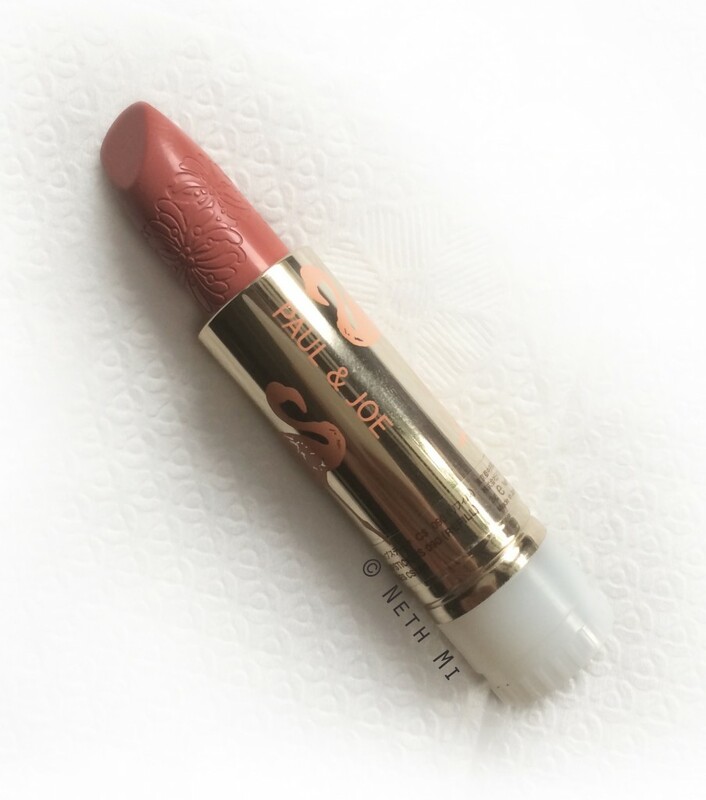 And look at the beautiful engraving on the lipstick refill! I applied a tiny bit of the Off-White on the inner-corners and shaded a bit of Teal from there towards the middle of the lid. 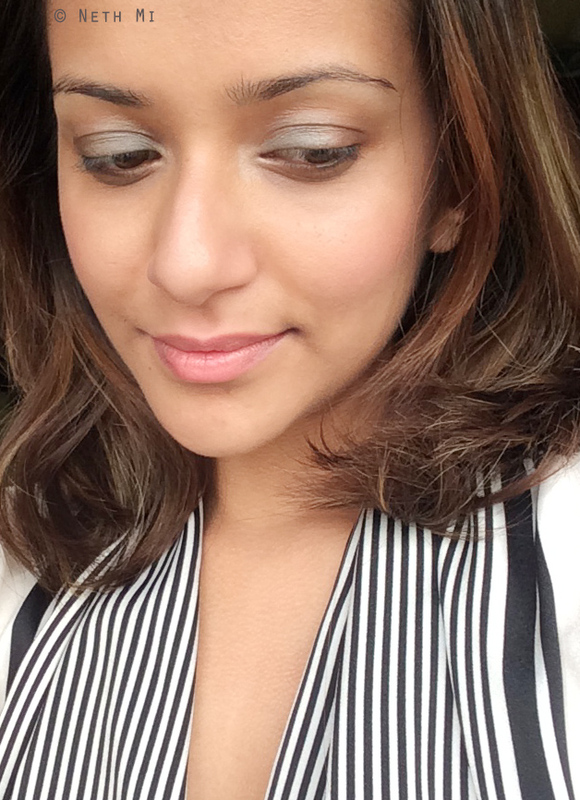 The outer-corners were covered in the Taupe shade with Pink on the cheeks & Renard lipstick on the lips. On the 2nd look I applied the Teal all across the lid up until the crease, Off-White on the inner corners and the brow bone, Taupe on the crease and Pink on the cheeks. Renard lipstick is on the lips as usual 🙂 I completed the look with L’Oreal Intense Gel Liner in Jet Black.